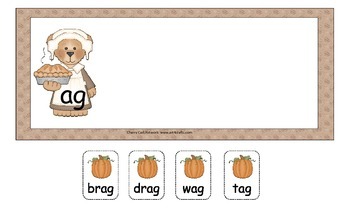 This sorting activity has sorting mats for several short a word families along with 24 pumpkin cards with words on them. 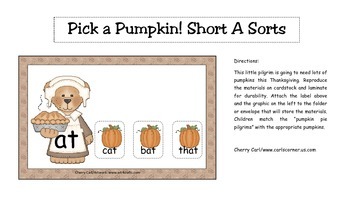 Children match the pumpkin pie pilgrims with the appropriate pumpkins. Easy to assemble and use. Look for the other short vowel sets in this series.